Little confusion at first with tech showing up but once he arrived it was smooth sailing as always! Comfort Control is one of the few vendors that has consistently provided excellent service over the past seven years. Completed one system furnace repair and preventative maintenance check. Changed filter. Dusted out and wiped down furnace cabinet. Cleared barometric tubing. Cleaned inducer port and pressure switch port. Tested mechanical and electrical components and found no issues. Performed combustion analysis and found good co and oxygen levels. Recommend secondary water safety to protect furnace from water damage in the event of a backed up drain line. Recommend apco air purifier to kill and prevent bacteria, germs, viruses and volatile organic compounds. The system is heating normally at this time. Completed 2 system furnace repair and preventative maintenance check Did not change air cleaner filters. Tested combustion and found safe co levels. Tested mechanical and electrical components, found worn flame safety sensor on the upstairs system. Replaced upstairs flame safety sensor. Systems are heating at this time. Completed 1 system furnace repair and preventative maintenance check. Check safety and operations. Change filter. Find Lennox furnace second under-fire. 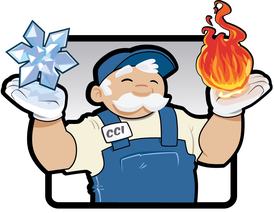 Complete combustion calibration to help improve temperature and efficiency. System operating within manufacturer spec. Furnace repair. Renewed Comfort Club Membership. Found a pressure tube clogged. Cleared the tube and the system is operating normally. Furnace repair. Checked and found that the thermostat was faulty. Replaced the thermostat with an Aprilaire 8466. This customer is a Comfort Club member under the name Tom McBride. The customer's history was not in the database. Need to check and correct this issue for the customer. Also, need to call the customer to collect for the repair. The system is operating normally at this time. Completed heating preventative maintenance check for the customer and changed the filters as well. Home warranty will repair of condensation pump. Replaced condenser fan motor. Other repairs needed later. Water leak. Check and find water leaking due to disconnected drain line. Connect drain for customer. Customer going to clean up water on floor. A/c unit operating at this time. A/c repair call. Check and find the system has dirty and clogged air flow causing the system to freeze. Replace filter, add 1 lbs of r410a and install compressor hard start kit to improve start up and reduce load. The system is operating at this time. Renew Comfort Club Membership and complete a/c repair call and preventative maintenance check. Change filter aa810, checked drain and installed compressor hard start kit to improve start-up and reduce the load. System operating at this time. System had a bad wire. Ran new wire and system is cooling at this time.